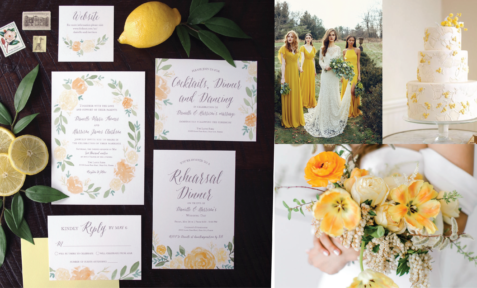 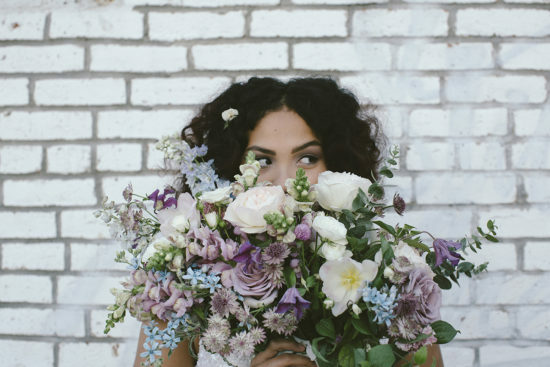 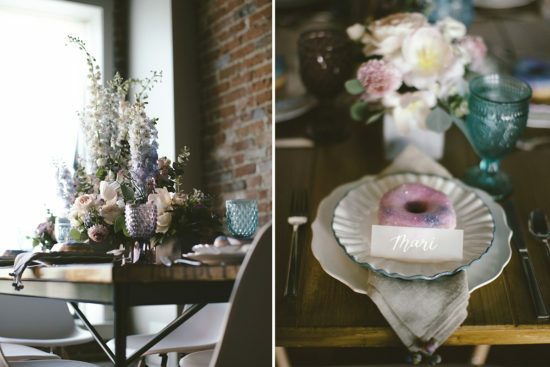 I’m so excited to share this inspiration shoot was recently published on Wedding Chicks! 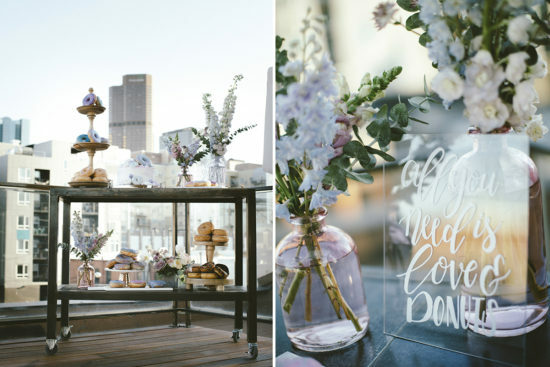 For more of this Whimsical Urban design, check out their feature! 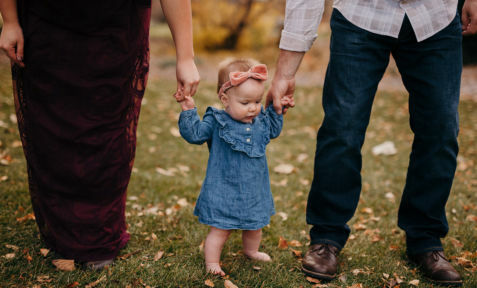 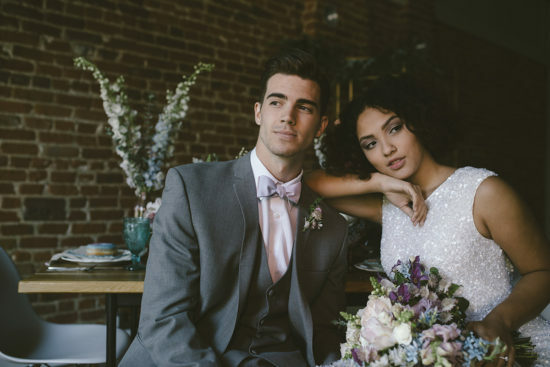 Beautifully photographed by Brittany Renee Photography and styled by yours truly, this shoot is all about the unique and playful details! 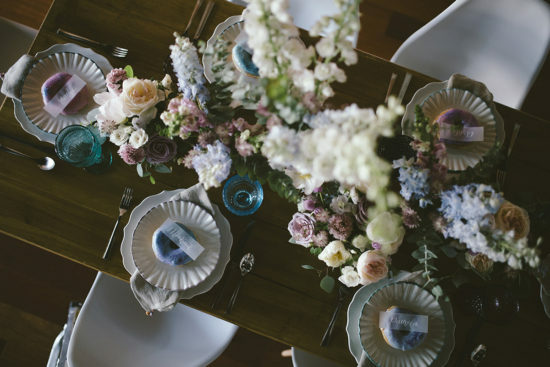 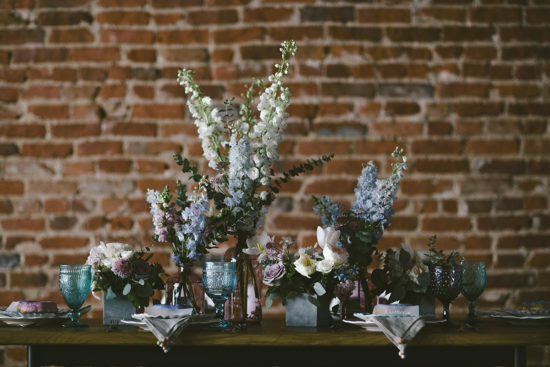 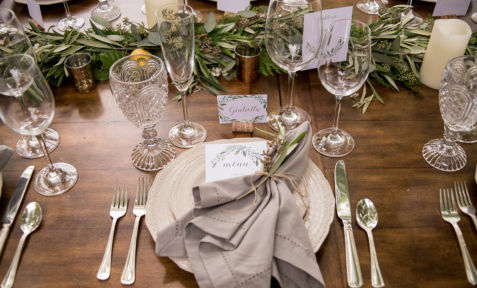 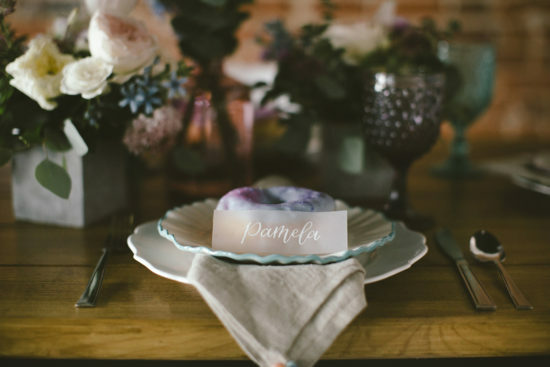 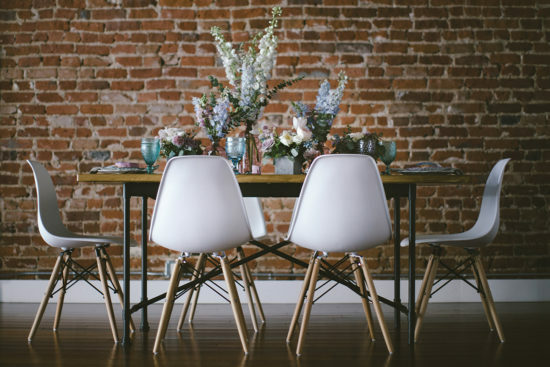 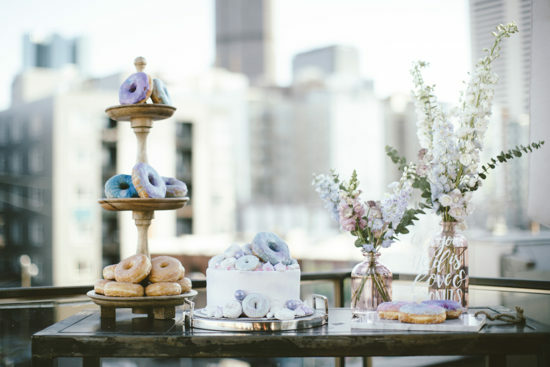 For the tablescape, lush, pastel blooms from Emma Lea Floral added a sweet romance to the setting while a modern and eccentric mix of wares related back to the urban Denver venue. 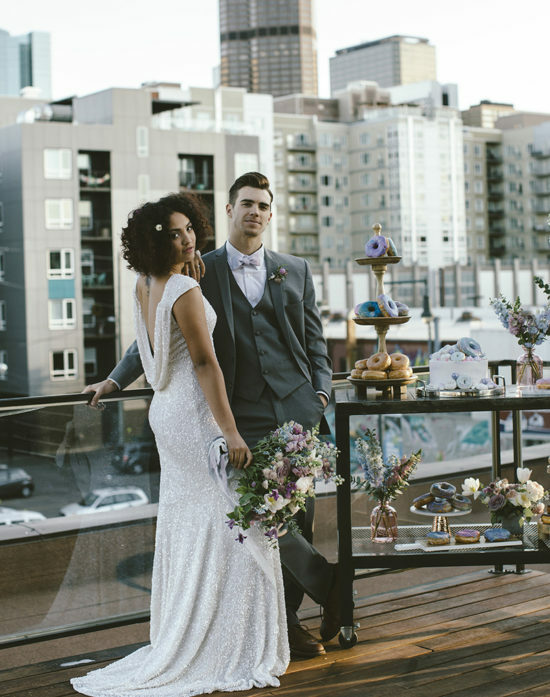 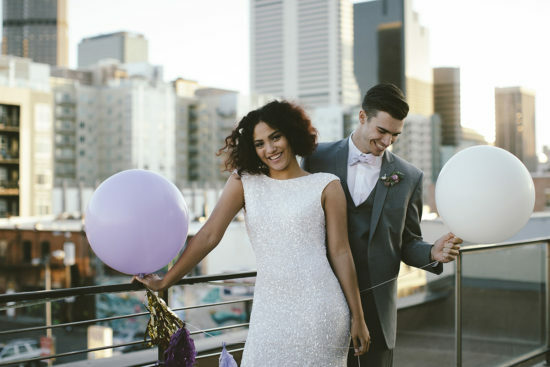 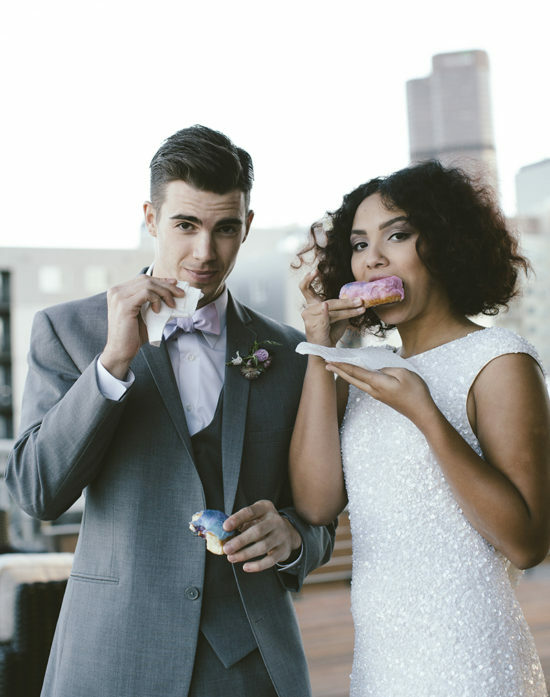 The views from the rooftop of 2127 Larimer were the perfect backdrop for couples portraits and a fun dessert bar filled with donuts and a whimsical cake from Yours Truly Cupcake. 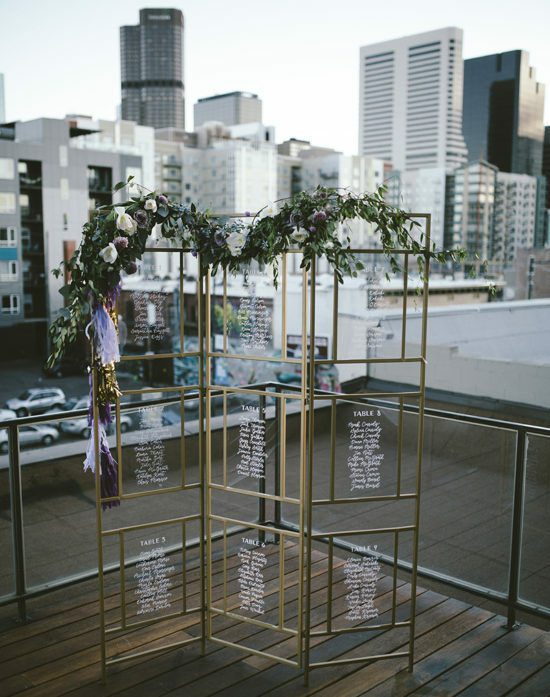 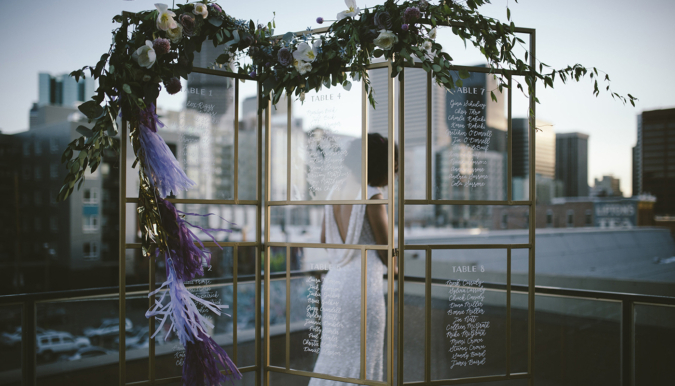 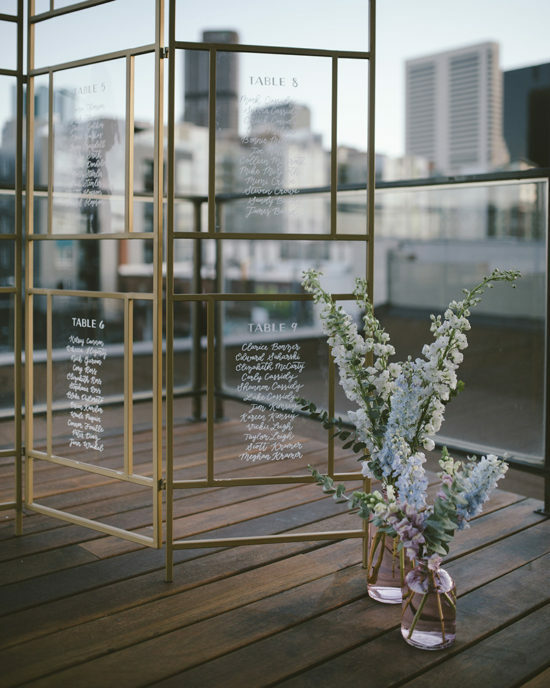 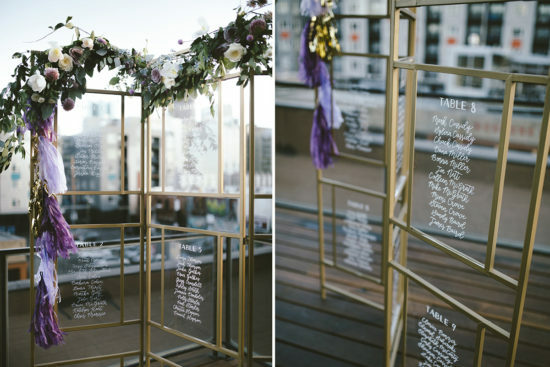 One of our favorite pieces from the shoot was the seating chart display – modern and light with clear acrylic panes for guests to find their seats. 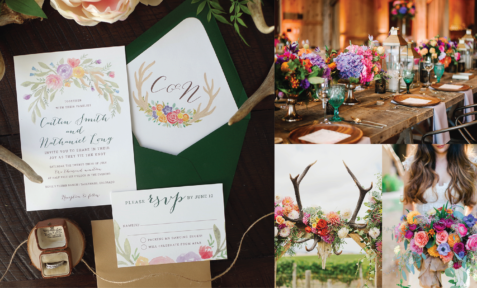 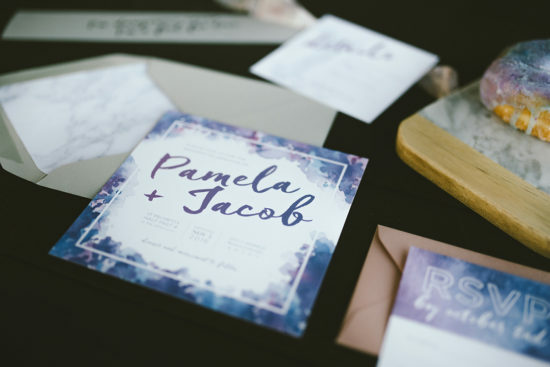 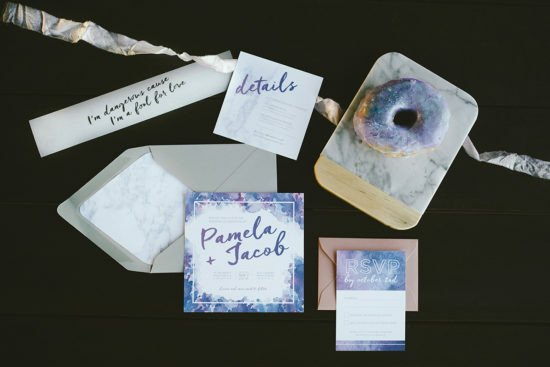 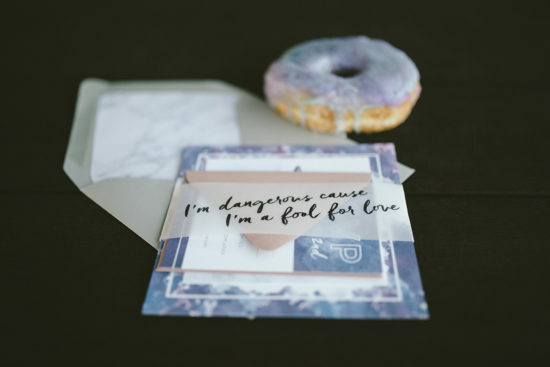 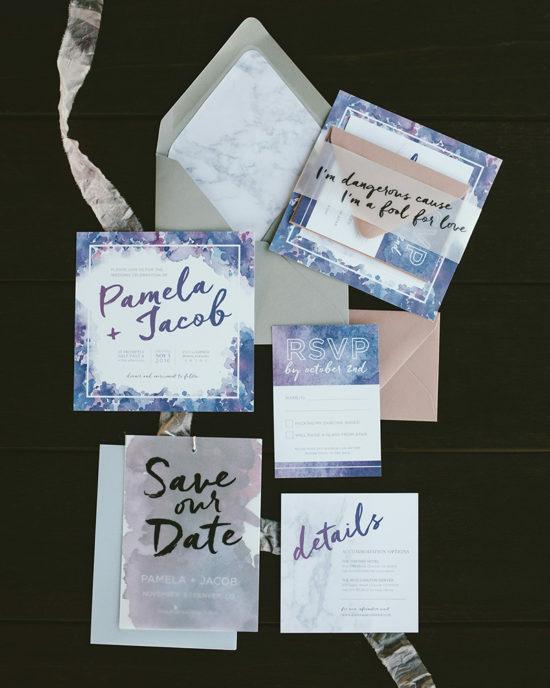 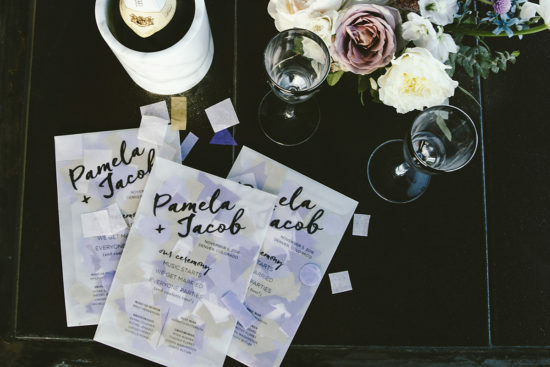 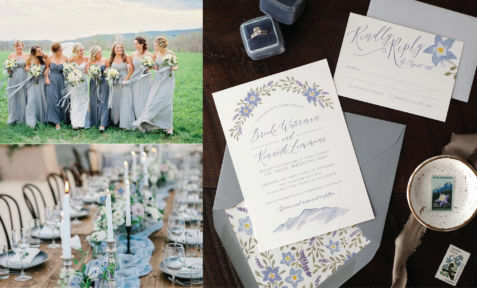 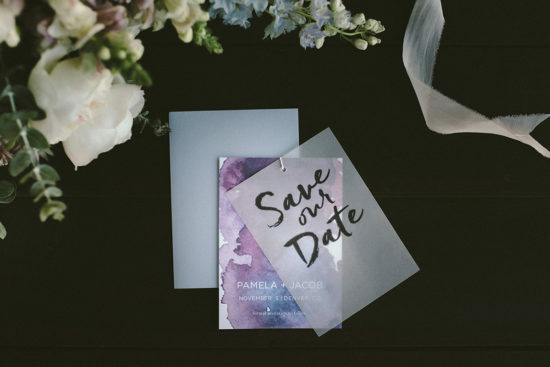 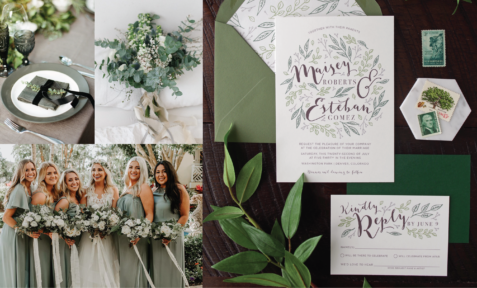 This clean translucence was tied through the shoot in other design details; from white calligraphy on vellum for place cards to elements of their stationery design, including confetti programs! 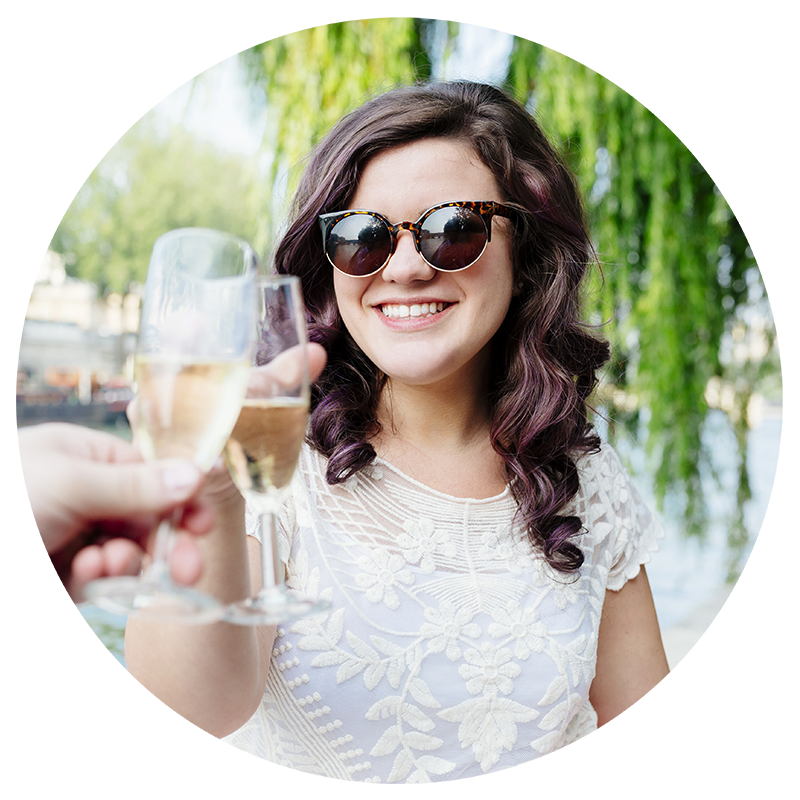 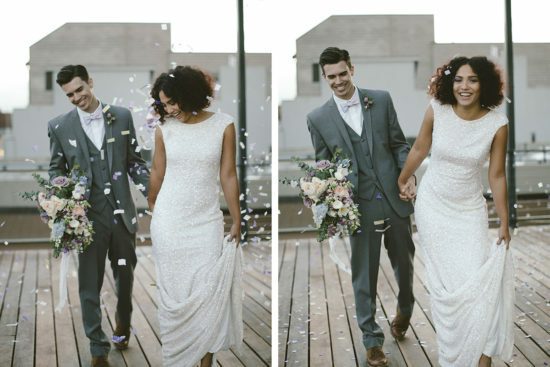 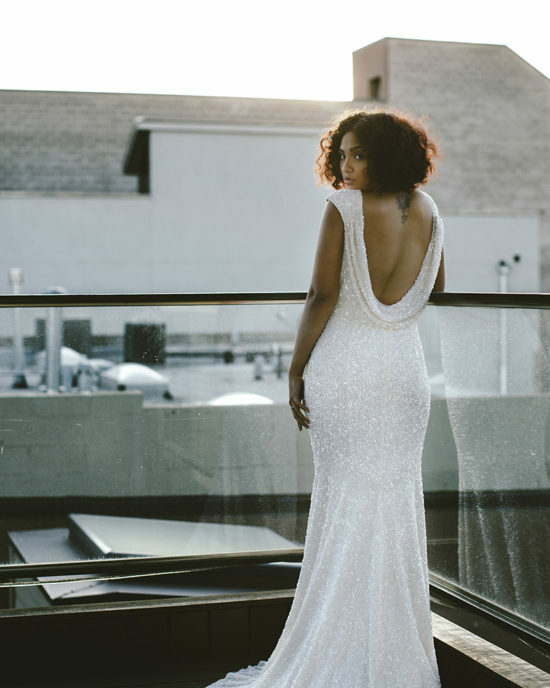 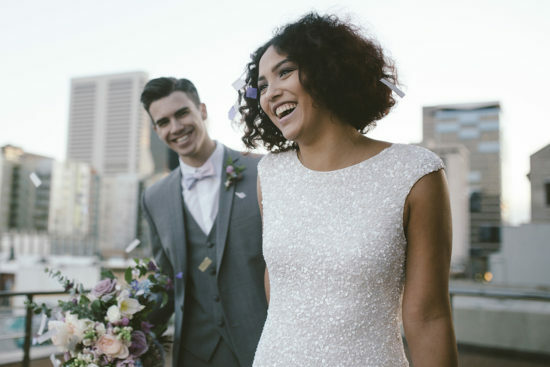 The Bride wore a stunning sequin THEIA Couture dress, with hair and makeup by Ash of The Guts and Glory. 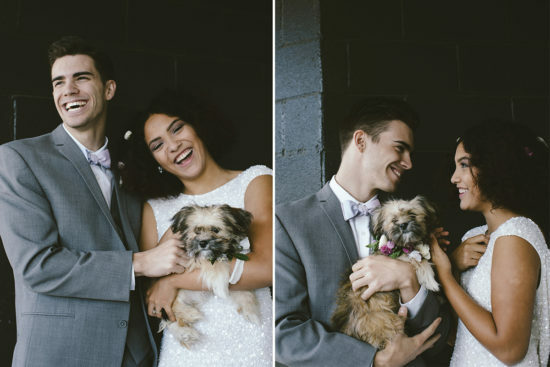 Completing our purple and pink galaxy color palette, Knotty Tie Co provided the most perfect bowtie for the Groom.